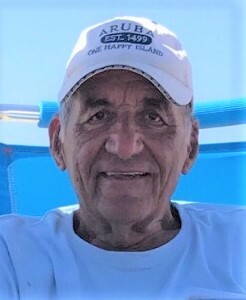 Vito Saliani, 84, of Congers, NY, passed away on Saturday, November 24, 2018. Beloved husband of Mary (nee DiLauro). Devoted father of John and his wife Patricia of Stony Point, NY and Lisa Newton and her husband James of Hamburg, NY. Cherished grandfather of Michael, Alexandra, Nicole and the late Preston James. Dearest brother of Annie Atzenbeck and Donna DiStefano and her husband Ron. Vito was a US Army Veteran of the Korean War and was a member of the American Legion in New City. He retired from the FDNY and belonged to the Florian Association, New City. Vito was an active member of the Blauvelt Sons of Italy as well as the West Nyack II Seniors. A Funeral Mass will be celebrated 10 AM Wednesday at St. Paul’s RC Church, Congers with interment to follow at Loescher Veterans Cemetery, New Hempstead. Visiting hours are Tuesday 3-7 PM at Pizzi Funeral Home, 120 Paris Ave, Northvale, NJ 07647 (201-767-3050). In lieu of flowers, donations in Vito’s memory may be made to the Blauvelt Sons of Italy Scholarship Fund, 46 Van Wyck Rd, Blauvelt, NY 10913. So sorry to hear about Vito’s passing. GOD bless him.